WASHINGTON, DC, December 21, 2010 (ENS) – The U.S. Environmental Protection Agency today announced that DuPont has agreed to pay a penalty of $3.3 million to resolve 57 reporting violations under the Toxic Substances Control Act. DuPont failed to immediately notify the EPA of research indicating substantial risk found during testing chemicals for possible use as surface protection, masonry protection, water repellants, sealants and paints. The Toxic Substances Control Act requires companies to inform EPA right away when they have research demonstrating that a chemical could pose a substantial risk to human health and the environment. “DuPont failed to comply with the law and notify EPA that it had information on chemicals that could pose a risk to human health and the environment,” said Cynthia Giles, assistant administrator for the Office of Enforcement and Compliance Assurance. “EPA is serious about making companies follow our nation’s laws and protecting public health,” she said. 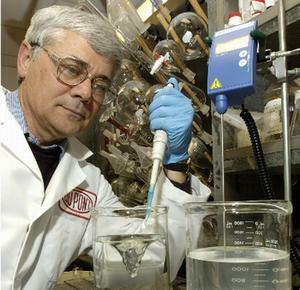 On May 5, 2006, DuPont notified EPA that it had failed to submit chemical toxicity studies on rats as required by the Toxic Substances Control Act. On July 12, 2006, DuPont submitted studies that contained information on chemical toxicity when certain chemicals are inhaled. EPA determined that 57 of the studies contained information on chemicals that could present a substantial risk of injury to health or the environment and were therefore subject to the Act. Full compliance with TSCA reporting requirements allows the environmental agency to understand and limit, when necessary, potential hazards associated with manufacturing, use, and disposal of chemical substances, said Giles. Based in Wilmington Delaware, DuPont is a chemical manufacturer that provides products and services for agriculture, nutrition, electronics, communications, safety and protection, home and construction, transportation and apparel markets. The company operates in 90 countries.